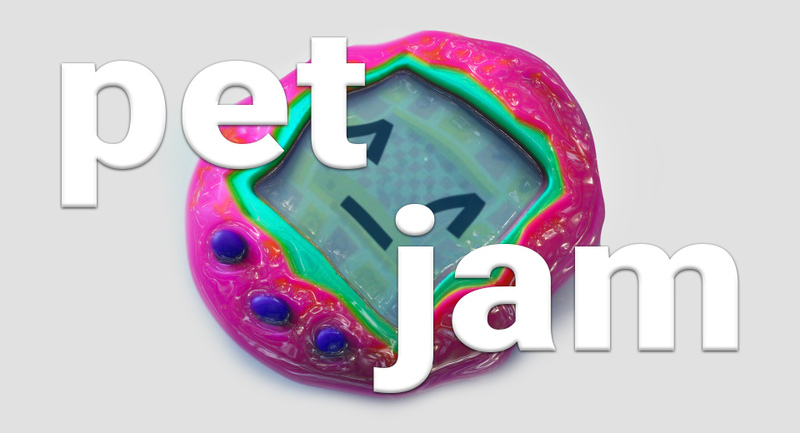 make a virtual pet! or something about virtual pets! Take care of your new monstrosity! Blork: The 60 Second Pet! A virtual pet that lives for one minute - have fun! Adopt a Trump and try to keep him from destroying America. Choose from ten eggs and raise your Tagi to adulthood. Collect cartridges, clean cartridges, love your games. look after your own astral being, conveniently trapped into a physical form. hey uh. you're a big kid now. this is your responsibility. My submission for Porpentine's Pet Jam 2015. Care for a Fiery Bird of your very own! This river is bored. Can it be appeased? The mass of virtual pets lead lives of quiet desperation. A pet simulation game where you feed and play with a banana-like creature called a banab! This is essentially a prototype to a virtual pet game, I plan to be continuing development soon.